We are incredibly happy to finally announce our newest development: Transport Fever is a next generation transport simulation game coming to PC this fall. Transport Fever is a successor to Train Fever and brings many new features, including aircrafts, ships, two historical campaigns, heavily improved construction tools and much more. Transport Fever is coming to PC this fall. The Train Fever website stays online but will only be updated on occasion in future. We hope that you like our newest development and look forward to your feedback. This entry was posted in Uncategorized by Tom. Bookmark the permalink. Can you please just take all my money right now?? This game looks exactly like what I’ve always wanted since playing Transport Tycoon. A game screen became remarkably good. But I think there are no changes in the contents. I want a concept in the realistic time in a game. And I want the “simulation mode” which can make a train timetable. Good news! Keep up the good work! Just one wish – PS4 version pretty please. Pleaaaase! Do you want to play an economic simulation with a ps4 controller? Playstation gamers dont seem to be the typical audience for such kind of games. This looks great. A couple of observations after I watched (over and over) the trailer: the people are still walking with their hands on the sides moving awkwardly Maybe you can get some inspiration from the character movements in Sims 4. Also I noticed the maps contain the same elongated lakes that run along rivers. Hopefully the landscape generation will be improved. - wider/larger and varied train stations! This looks beyond promising, I can’t wait to play it! Great news guys! Best of success with your latest offering. Looking forward to playing after I reach 1000 hours on TrainFever! A developer that listens to the community. The trailer is looking amazing. Can’t wait to get my hands on this title. Great stuff! So… This feels more like some sort of DLC for TrainFever.. Most features in that trailer is something that should be in TrainFever already. (Crossing rails most).. But hey if you can fool people in to buying TrainFever again just with a new name. Go for it… But i have to admit it looks nice! Excactly my thoughts. 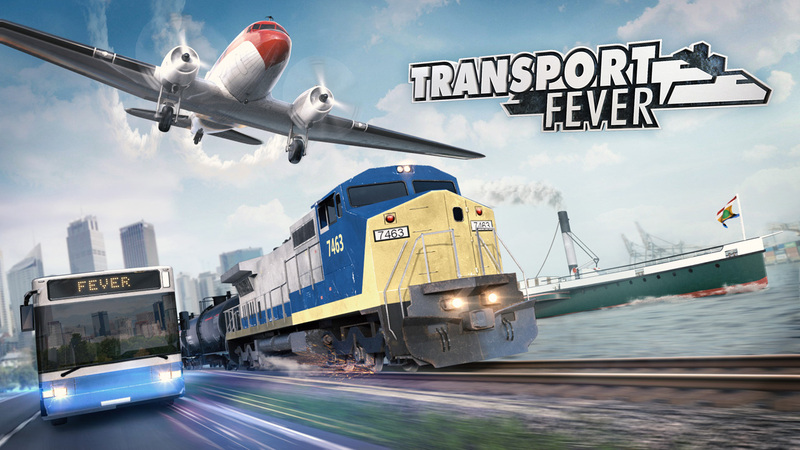 Train Fever is $29,99 and now Transport Fever is $29,99 on pre-sale also… and the difference? -> More transport modes. It’s like creating Train Fever was a general repetition for Transport Fever, haha. I’ll wait for this game to be 80% around €5,-. Chill indie-games like this should be around €10,-. transportfever has an improved version of the engine. some things are simply not possible in trainfever. also this is the 2nd game from urbangames. Amazing step forward guys! Really glad you’re building on your existing tech and seemingly pushing forward in all the right areas. Colossal Order did very similar, and by the time they got to Cities Skylines, they’d built something very special. On a critical note – the trailer music is an improvement I think, but it still rings a bit euro-cheese to my ears… how about a nice fleshed out classy jazz soundtrack? I see the minimum computer requirements here, but do you guys have a suggested hardware level for really good performance without spending crazy money (like an under $1000, under $750, or under $500 recommended laptop). Something that can handle the new graphics WITHOUT LAGS PLEASE!!!! I love your game(s) and as crazy as it might be, I will probably buy a new laptop in the fall primarily just because I want to really enjoy a graphically-rich lag-free Transport Fever. Anyway, I had some ideas for improving Train Fever here and here. I do hope some of these get incorporated into Transport Fever. I have been waiting this for so many years that I lost hope to see again a Transport Tycoon succesor, thankyou very much, and please take my whole bank account but make this game great!!!! Will the new track tools, weathering etc be implemented to train fever? Without AI competition and multiplayer and economic modul of building investment and STOCKS it is just better simcity. I hope this game will be soon better that transport tycoon was, but this two thing I need see there ! Can you tell me what music has been used in the trailer? I’ve searched around and used Soundhound, but I can’t seem to get it… Thanks. © 2012 The Train Fever Team. All rights reserved.